Schmitt Heating and Air Conditioning is a full service heating, ventilation and air conditioning business serving residential and commercial clients in San Francisco, Oakland, Alameda, and the surrounding area. We have been proud to provide outstanding, affordable, professional and reliable comfort solutions to our valued customers in the entire Bay area for more than 100 years. Throughout this period, our name has become synonymous with quality and dependability, and in the process, our portfolio of satisfied customers has continued to grow. As a fifth generation family owned and operated business, we continue to provide the same quality of service that made us the premier HVAC contractor in our region since 1901. We take pride in offering the best products and services in the market; in fact, the comfort, safety and health of our customers is our number one priority, which is why we work closely with our clients to find the HVAC solution that fits their needs. If you are building a new home, business premises, or adding an extension to your existing property, the comfort, convenience and safety of your family, or employees in the case of a business premises, should be at the top of your mind. Having clean and healthy air inside your home or office should be among your top priorities. 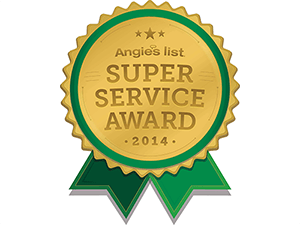 Additionally, having a HVAC company you can depend on should be on top of your list. We can provide the most reliable and best quality products for your air conditioning needs. We are proud to be a Carrier factory authorized trader, authorized to engage in appliance sales, installation, service and repair. We employ the most experienced, reliable, and professional NATE certified technicians who can install, repair or service any make and type of HVAC appliance. Additionally, our state of the art premises, equipment and tools enable us to provide prompt, reliable and efficient service. 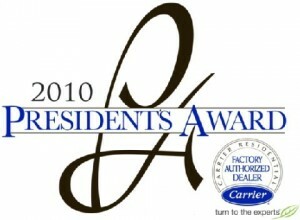 We are proud to be the winners of the 2010 Carrier President’s Award, a testimony of our excellence in customer relations. As the most trusted name in the heating and air conditioning equipment industry, the Carrier air conditioning systems have made numerous homes, offices, schools, stores, and other commercial premises a lot more comfortable. Some of the Carrier appliances we carry include air conditioner, heater, UV lamps, air cleaners, furnaces, evaporator coils, fan coils, boilers, humidifiers, ventilators, and carbon monoxide alarms. We strive to offer you the products and services that exceed your expectations and fit your budget. Since we believe that everyone should enjoy the experience of having an efficient HVAC system, we offer rebates on qualifying items. Our rebate deals lower the costs of a new system, which means that you can now replace your old system without having to worry. You can afford a new energy–efficient system upgrade, which will further lower your utility bills.